The eleventh curated international portfolio viewing featuring young emerging European photographers will be held on the weekend of 27 to 29 January 2017. 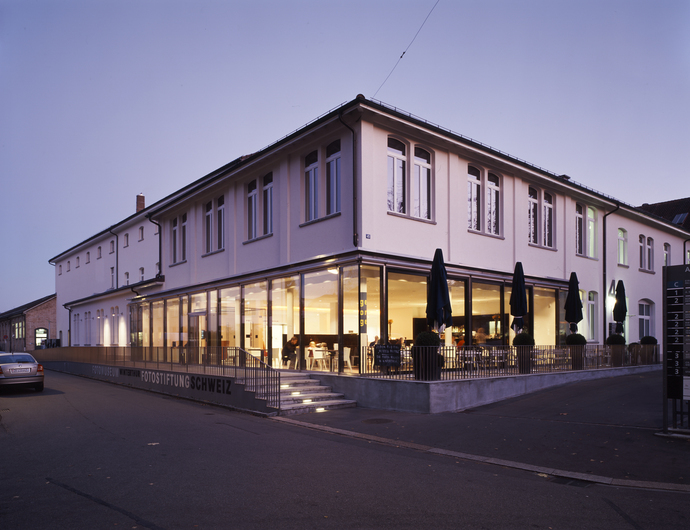 The Fotomuseum in Winterthur once again invites 42 photographers to present their work for two hours to the public and a selected team of experts in Fotomuseum’s exhibition spaces. Plat(t)form is aimed at professionals such as curators, gallery owners, publishers, editors and photographers. At the same time the event offers interested visitors an opportunity of discovering the work of young photographers and artists and of meeting them in person. On Friday 27 January 2017 Simone Mudde and Olivier van Breugel are present to show their portfolio, including their project Mono Men. Thomas Albdorf (AT), Özgür Atlagan (TR), Lorenzo Bacci (IT), Bjarne Bare (NO), Emile Barret (FR), Besma Ben Said (NL), Pauline Beugnies (BE), Anaïs Boileau (FR), Axel Braun (DE), Sebastián Bruno (AR/ES), Francesca Catastini (IT), Discipula (Marco Paltrinieri & Mirko Smerdel & Tommaso Tanini; IT), Durban Lewis Ltd. (GB), Iva Durkáčová (SK), Martin Errichiello & Filippo Menichetti (IT), David Fathi (FR), Valentin Faure (CH), Hertta Kiiski (FI), Clément Lambelet (CH), Andreas Langfeld (DE), Lilly Lulay (DE), Matheline Marmy (CH), Anna Meschiari (CH/IT), Stefanie Moshammer (AT), Simone Mudde & Olivier van Breugel (NL), Sandra Mujinga (NO), Alissa Nirgi (EE), Christoph Oeschger (CH), Johan Österholm (SE), Fabio Parizzi (CH), Helena Petersen (DE), Daniel Poller (DE), Virginie Rebetez (CH), Anna Reivilä (FI), Alessandro Sambini (IT), Neige Sanchez (CH/FR), TILO&TONI (DE), Hayahisa Tomiyasu (DE), Salvatore Vitale (IT), Justyna Wierzchowiecka (PL), Craig Wye (GB), Amelie Zadeh (AT). Milena Carstens, executive photo editor Zeit Magazin, Hamburg; Zak Kyes, art director and curator Zak Group, London; Lesley A. Martin, Aperture Books, New York; Diane van der Marel, collector and founder / Evelien Kunst, fellowship director, MIAP Foundation; Francesco Zanot, chief curator CAMERA, Turin; Thomas Seelig, director Fotomuseum Winterthur.